resource Natural Spring Water has launched new bottles that are made of 100% recycled plastic. SEATTLE (Scrap Monster): The premium natural spring water brand resource Natural Spring Water has announced the launch of new bottles that are made with 100% recycled plastic. According to company officials, use of recycled PETs will help improve recycling rates significantly. It also intends to highlight the importance of recycling so that other companies could contribute in a big way. The new resource bottles are available in two sizes-700 ml and 1 litre and are manufactured completely from recycled plastic. According to Debora Fillis Ryba, senior manager of sustainability at Nestlé Waters North America (NWNA) that owns the resource brand, the launch of resource 100% rPET is expected to increase the awareness and demand for recycled plastic. In addition, it is also aimed at improving closed-loop recycling. The development is part of the company’s continuous efforts to develop innovative and environmentally sustainable packaging options across its entire range of beverage brands. 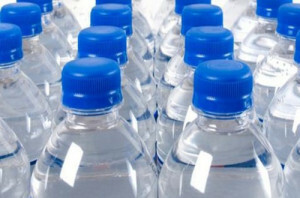 According to NWNA, bottle-to-bottle recycling is important as it reduces landfill waste and reduces carbon footprints. It aims to raise PET bottle recycling rates to 60% by 2018. Currently only around 30-33% of the PET materials are recycled in the US. The introduction of resource from 100% recycled PET will make significant boost to improve recycling standards of consumers and companies. Stamford, Connecticut-based Nestlé Waters North America is the third largest non-alcoholic beverage company by volume in the U.S employing nearly 7,500 people.